China's central bank increased its gold reserves for the fourth consecutive month to continue a major spree in buying of the precious metal. People's Bank of China (PBOC) figures indicate the central bank increased reserves to 60.62 million ounces in March, according its website, cited by Bloomberg. Gold's attractiveness has increased as the US dollar remains weaker. Central bank dovishness has also impacted demand. 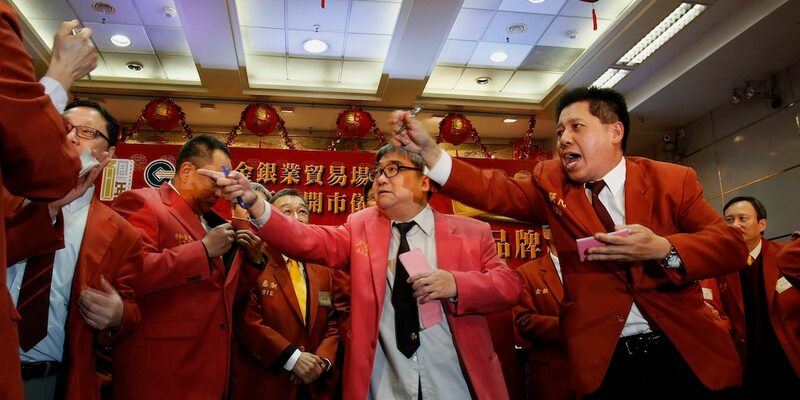 China's gold-buying run has shown no signs of abating after the People's Bank of China (PBOC) added yet more of the precious metal to its reserves in March. Figures on the central bank's website indicate it increased reserves to 60.62 million ounces in March from 60.26 million a month earlier, according to Bloomberg, a fourth consecutive month of higher figures. Central banks added 651.5 tons of gold to their reserves in 2018, the second-highest total on record, according to the World Gold Council. This has been boosted by buying from China and Russia, two of the world's largest purchasers. For Russia the buying is part of an attempt by Vladimir Putin to move away from dollar dependence, according to Bloomberg. » Can China avoid an economic slowdown?